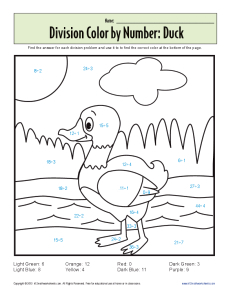 Your little math whiz will take to division like a duck to water with this worksheet. He'll solve the division problem to find the correct color to use. It's a fun way to practice math!